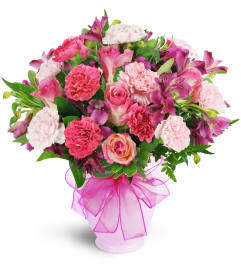 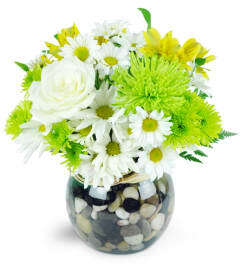 Say Happy Birthday or send get-well wishes with this striking display of daisies, snapdragon, carnations, and mums. 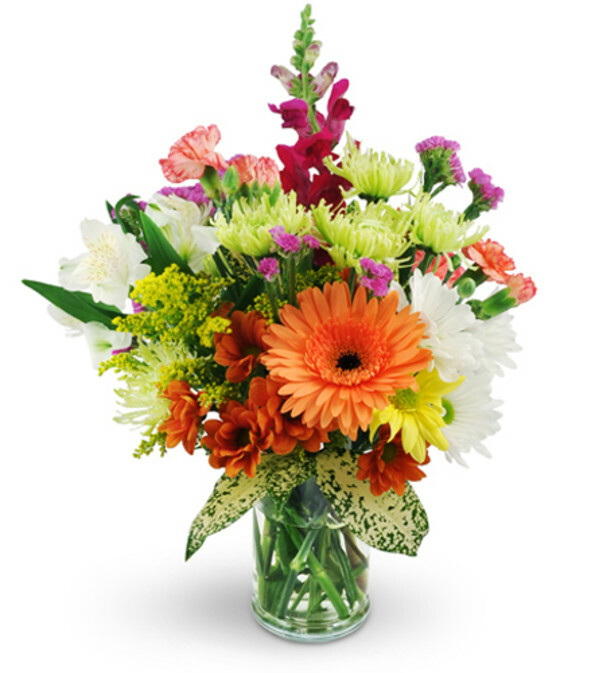 This lovely, long-lasting arrangement will get right to work on brightening up someone's day. Gerbera daisies, snapdragons, alstroemeria, mini carnations, and a colorful variety of mums are expertly arranged with solidago, raspberry statice, and tropical leaves.